I have recently added another Korean dish to my repertoire. We have had this a few times in the restaurant and loved the taste. It is unbelievably simple, yet tasty. 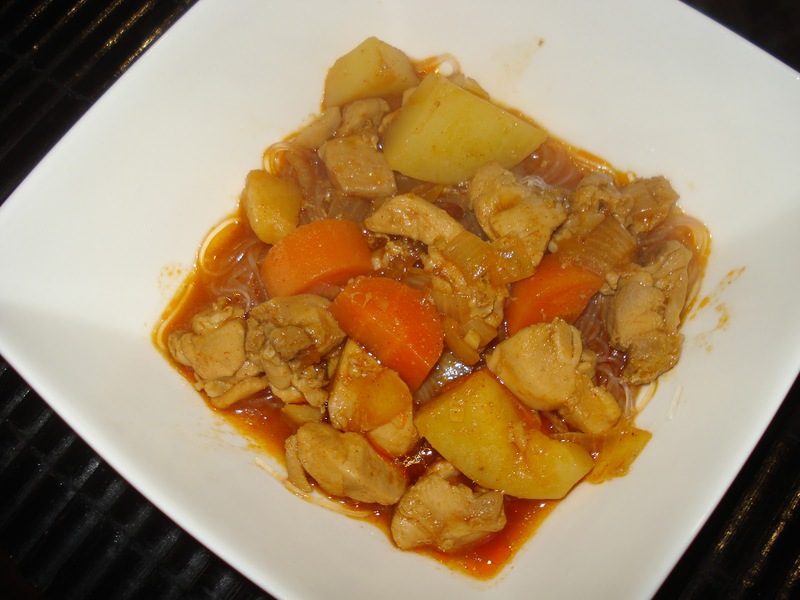 Here’s how to make Korean Spicy Chicken Stew in 4 steps. 1. 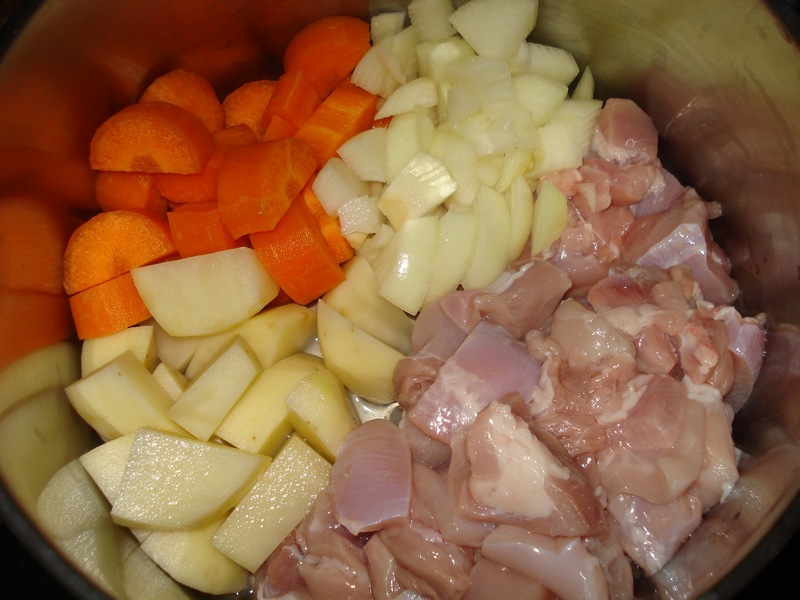 Add in water, potatoes, carrots, onion and meat in a pot and bring it to boil. 2. 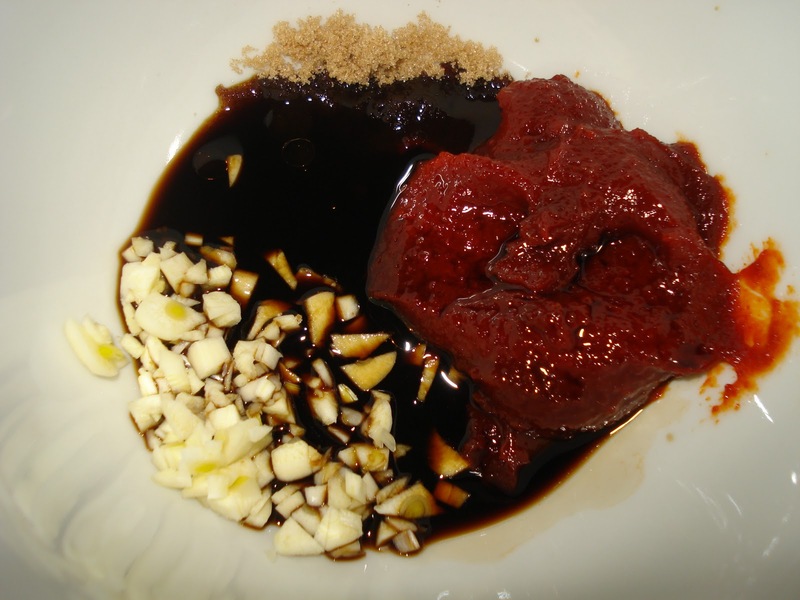 Mix garlic, hot pepper paste, sugar, soy sauce, sesame oil on a small bowl. 3. 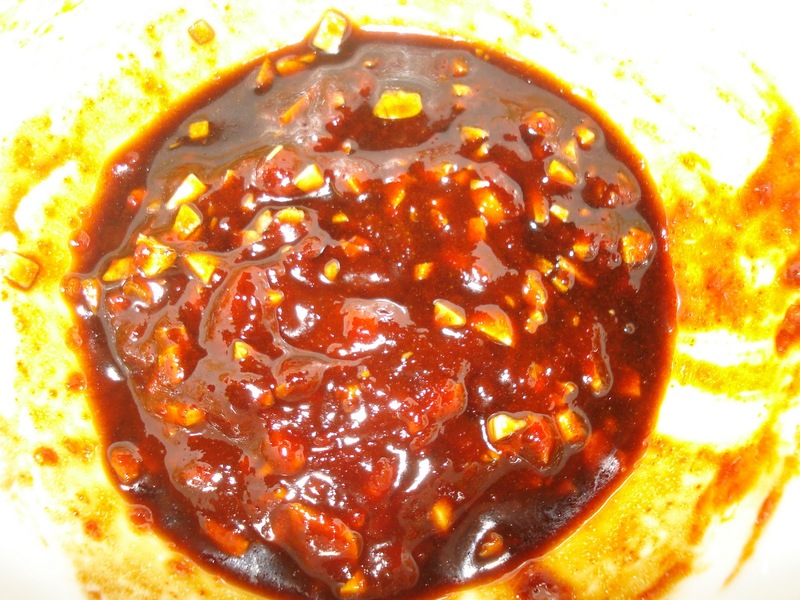 Add the mixed sauce to the pot when it starts boiling. 4. 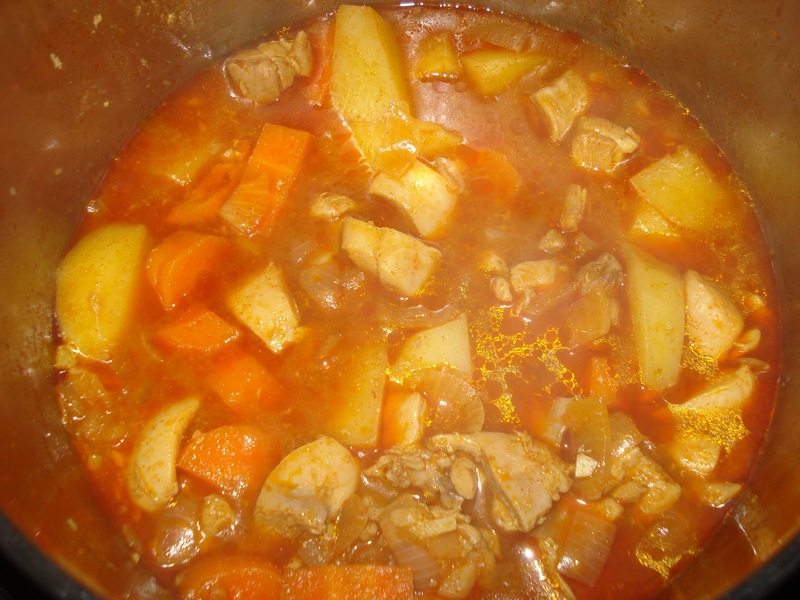 Reduce heat and let it simmer for 30 minutes, or until carrots and potatoes are cooked. Stir occasionally. This can be eaten with rice, but we had ours with glass noodles. Simply tasty!